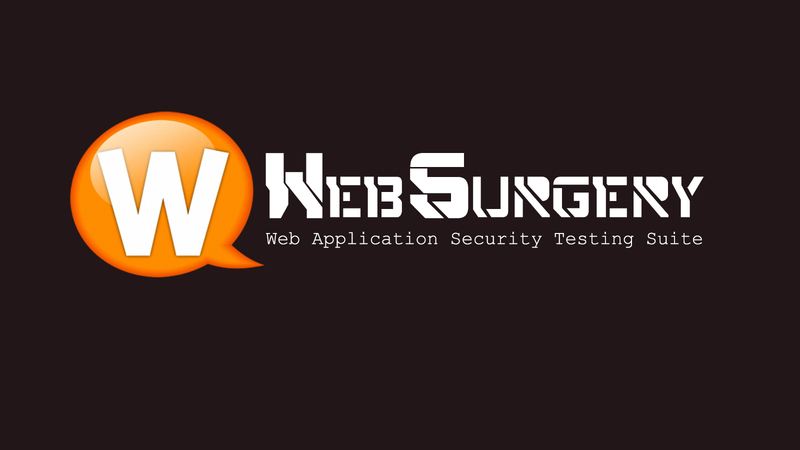 WebSurgery is a suite of tools that are designed for web application security testing. It contains several web tools such as Crawler, Bruteforcer, Fuzzer, Proxy, and Editor, and also some extra functionality tools such as Scripting Filters, List Generator, and External Proxy. There are 3 versions of WebSurgery: Non-commercial (Free) Edition, Enterprise Edition, and Consultant Edition. The Free Edition doesn't require any license fee, but it cannot be used to scan sites of customers or third parties. The Enterprise Edition is extended to organizations owning and operating more than one website. Ideal for small and larger organizations, this allows you to scan an unlimited number of websites. But it cannot be used to scan sites of customers or third parties. The Consultant Edition is extended to organizations scanning any number of websites owned by their customers to provide them with penetration testing and vulnerability assessment services. Ideal for Security Consultants, Web Development Agencies, and ISPs. Note: Multiple installations require multiple licenses. Bruteforcer: For files and directories within the web application which helps to identify the hidden structure. Fuzzer: It is a highly advanced tool to create a number of requests based on one initial request. Fuzzer has no limits and can be used to exploit (Blind) SQL Injections, Cross Site Scripting (XSS), Denial of Service (DOS), Bruteforce for Username / Password Authentication Login Forms and identification of Improper Input Handling and Firewall / Filtering Rules. Proxy: It is a server running locally and will allow you to analyze, intercept and manipulate HTTP/HTTPS requests coming from your browser or other application which support proxies. Editor: A simple Editor to send individual requests. It also contains a HEX Editor for more advanced requests. Scripting Filters: Filters can be used to filtered the Crawler's, Bruteforcer's, Fuzzer's search results. You can also use filters to specify a custom 'Page not found', 'Process', 'Exlude' filter for Crawler and Bruteforcer. List Generator: List Generator produces a list(s) for Bruteforcer and Fuzzer. External Proxy: You can configure WebSurgery to send all the traffic generated through a proxy. Currently, supports HTTP proxies without authentication or with basic authentication, Socks4 proxies without authentication, Socks5 with without authentication or with username/password authentication and DNS Lookups at the proxy's side. You could also configure Proxy to listen locally and then configure it also as external so you can review which packets exactly were sent from WebSurgery Suite.